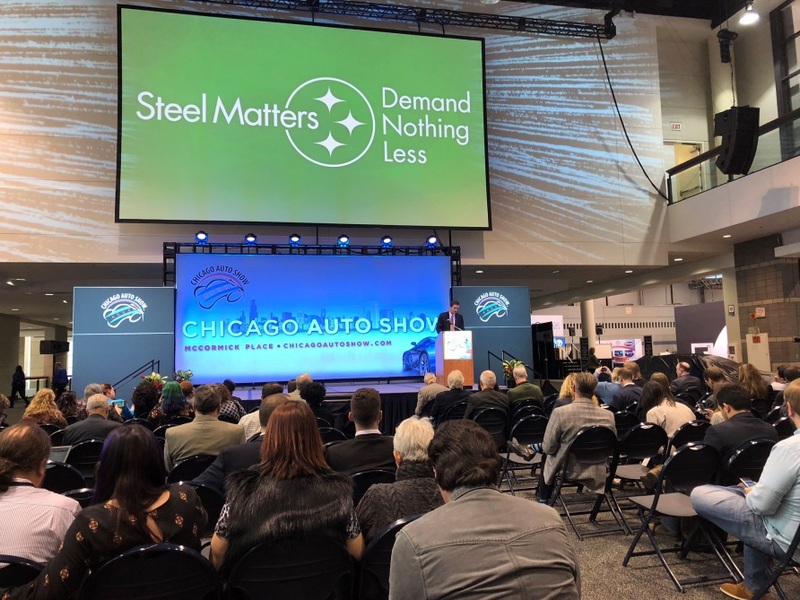 Americans demand a lot from their trucks, and truck manufacturers depend on steel to deliver on their consumers’ performance, safety, durability, price and fuel efficiency requirements. While truck, car and SUV drivers all appreciate a ride made from steel, Americans in the market for a truck are the most likely to prefer key vehicle components to be made from steel. It makes up a big part of their purchase decision because they know only steel can make their truck the best it can be. This preference for steel among truck owners and shoppers was one of the key findings from a new national study we commissioned through quantitative research firm Lab42. The researchers looked at what Americans think about the materials in their cars, trucks and SUVs and how much those factor into their decision about what to buy at the dealership. One notable finding is 58 percent of truck buyers think it’s important to have their truck’s frame and structure made from steel. That’s a higher importance rank than commonly-advertised truck attributes such as accessory options and towing capacity. So why do Americans think steel is more important than how much their truck can tow or what accessories they can get? For one thing, they don’t trust the other options, especially aluminum. An overwhelming majority of surveyed consumers do not believe aluminum is as durable (87 percent), strong (90 percent) or safe (91 percent) as steel. 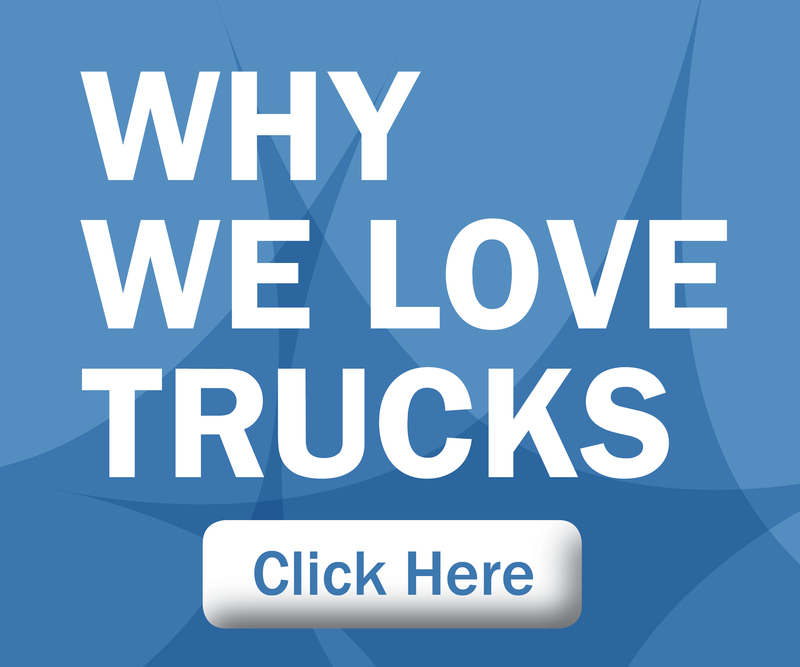 They also know from experience steel delivers on the things they care most about when it comes to their truck, including price, safety, cabin and payload size, fuel efficiency, body design, performance and durability. All of these factors benefit from steel’s unique combination of strength, formability, weight, sustainability and price. While truck buyers love steel, they especially love what today’s high-tech steels can do for their trucks. This is why manufacturers are increasingly turning to advanced high-strength steel (AHSS) and ultra high-strength steel (UHSS) to make iconic trucks better than ever before. The unmatched combination of strength, rigidity and formability provided by AHSS and UHSS lets truck designers build tougher, stronger and lighter trucks. These exceptional new steels allow designers to thin cabin pillars, making truck interiors more spacious while minimizing blind spots. They make trucks lighter and stronger at the same time, improving fuel efficiency without sacrificing performance. They also make huge contributions to safety, enabling designs and systems to keep occupants safe in head-on, side-impact and rollover crashes. Americans love their trucks, and they demand a lot from them. When it comes to strength, safety, performance, durability, economy and sustainability, truck owners trust steel to get the job done. Own a truck? Tell us in the comments below what’s most important to you. Five years ago, an announcement was made sparking a materials debate across the automotive industry. With one of the top-selling vehicles in the U.S. becoming aluminum intensive, we wanted to know what the everyday driver thought about materials used in their truck or SUV. So, back in 2013, we launched a survey to gauge awareness and preference for automotive materials among consumers. In that first survey, 75% of consumers preferred steel and understood its high correlation to the safety of their vehicle. Consumers highly associated steel with strength and better protection for their family when directly compared to aluminum. Additionally, 50% of the total audience ranked type of material for their vehicle’s frame or body as an extremely important decision-making factor when choosing a truck or SUV to buy or lease. When consumers were informed automakers were replacing steel with aluminum, respondents weren’t very happy with the choice, with more than 47% declaring they had a negative reaction. Five years have passed since the initial survey and with consumers favoring trucks and SUVs again, as well as recent fuel economy debates, we decided it was time to see if their preferences have changed. In April 2018 we replicated the survey with the addition of sedan owners and intenders. What we learned is impressive! Ninety percent of consumers believe steel is stronger and more durable than aluminum, and advanced high-strength steel remains the preferred material for a vehicle’s frame for 92% of those surveyed. Most important? Aluminum is a deal breaker with consumers. More than half of consumers claim replacing steel with aluminum will negatively impact their opinion of an automaker. And, if an automaker did replace steel with aluminum, more than 40% of those surveyed would be less likely to buy or lease from that manufacturer. Safety: Advanced high-strength steel (AHSS) and ultra high-strength steel (UHSS) give automakers exceptional high strength grades to efficiently design strong, rigid passenger compartments to prevent intrusion while minimizing blind spots for the driver. Additional grades provide a combination of high strength and energy absorption to help manage front- and rear-end collisions. Price: Steel-intensive body structures and closures offer the most cost-effective solutions to automakers thus translating to cost savings for consumers. Interior Roominess: The efficient design of the passenger compartment with steel allows for roomier interiors. Appealing Physical Design: Steel’s formability allows designers options for more shape in vehicles as compared with aluminum alloys. Vehicle Test Result Reviews: Steel’s properties contribute to ride and handling and durability which results in overall exceptional vehicle performance. Fuel Efficiency: Steel’s high strength, and thus lightweighting contribution to vehicles, increases fuel economy. Five model years, a changing automotive landscape, development of autonomous vehicles and so much more all took place between surveys and yet consumer preferences for vehicle materials are unchanged. As you look to purchase or lease a new vehicle, don’t forget about the high value steel provides. Tell us in the comments below: what do you consider when looking for a new car, truck or SUV? 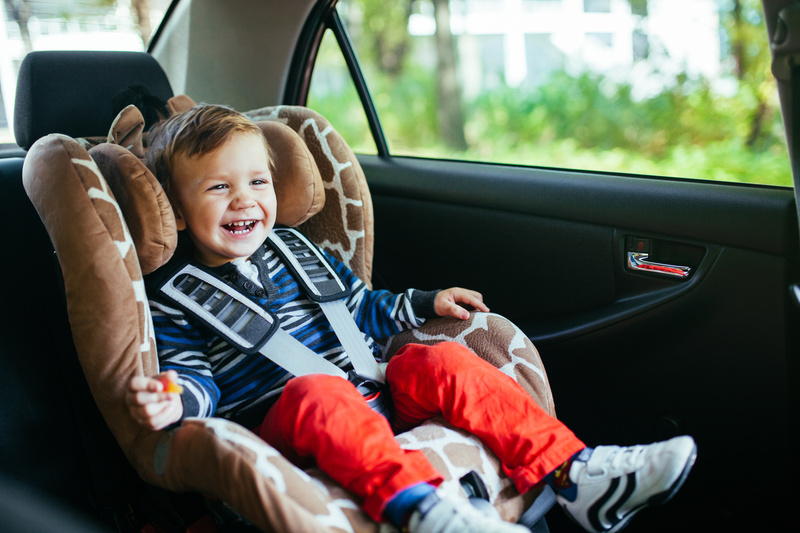 “Strap, secure, go,” may seem like a simple way to get your car ready for a long journey or quick trip this summer; however, there are a few more crucial steps to successfully baby- or child-proof your vehicle. With family vacations, trips to the local ice cream shop and daily outings quickly approaching, now is the perfect time to brush up on car safety tips. First and foremost, do your research on car seats. This includes ensuring the seat is federally approved, knowing specific age- and size-appropriate seat recommendations for your child, proper installation and which position is the safest to face. The American Academy of Pediatrics states all children younger than 13 should ride in the back seat. To see which type of car seat is recommended for your child’s age, height and weight, visit the National Highway Traffic Safety Administration. It may feel like common sense, but oftentimes we forget how easy it is to leave car keys laying around. Make sure to never leave your keys in or around your car, or in reach of children. Kids look up to their parents as role models and pick up on their actions. You never know when they’ll play “grown-up” and try to actually start the car. To avoid any problems or accidents, keep your car locked at all times and have a designated safe spot for your keys. Lock it up in general. Whether it’s a window lock or rear door lock, utilize every child lock available in your vehicle. Window locks prevent distractions, such as siblings arguing if the window should be up or down. They also remove the possibility of anything getting stuck in the window. Read your car manual instructions to enable rear door child locks, especially if your child is within reach of the lock. In the average week, 50 children in the United States are injured from being backed over by a vehicle. Back overs typically occur in parking lots or driveways and can be fatal. Lemonade stands, hide-and-seek and driveway basketball games put children at a higher risk during the summer months. Children may not understand the potential danger of a vehicle or how blind spots work. Even with backup cameras, you can never be too cautious. When putting your car in reverse, you should always be 100 percent conscious of your surroundings, after all children are constantly on the move. 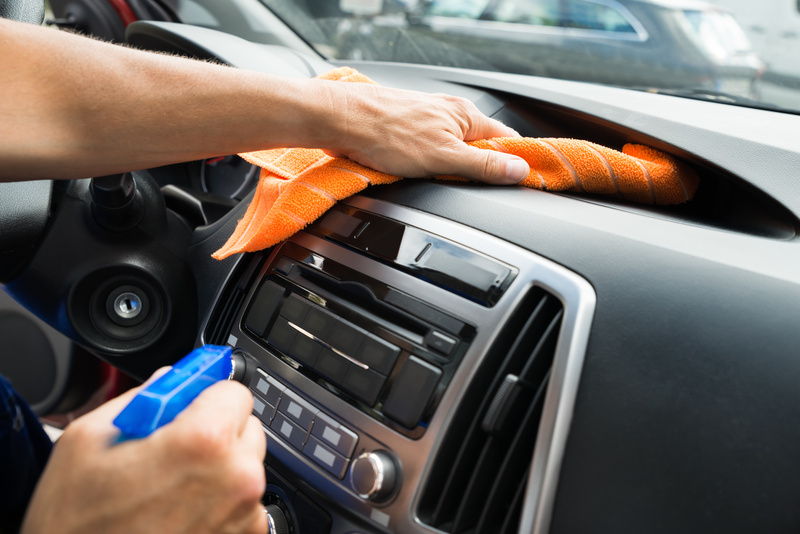 Keeping your car as clean as possible is another way to ensure car safety. The less clutter there is, the clearer your mind will be. After cleaning, do not leave cleaning supplies in your car that could be toxic to children. Items that may not seem like a danger to you can be hazardous to children. Remember to store potentially dangerous items such as tools, wiper fluid, motor oil and medications in a secure spot. Fastening vacant seat belts with the switchable locking retractor is beneficial, as unused seat belts may pose a strangulation risk. Today there are more than 200 grades of steel available to automakers, allowing engineers to apply the right grade in the right location for exceptional occupant protection, durability and crash energy management. Rest assured, you can feel protected when driving your kids around town as a result of innovative steel solutions used throughout your vehicle. Whether it’s the middle of winter or the peak of summer, never leave your child alone in a vehicle. The temperature in a car rises rapidly, even on cool days. Leaving a window down does not allow for adequate air circulation. Heat stroke happens quickly, so a child should never be left alone in a car. Running a quick errand is not worth risking a child’s life. Always being aware is the key to car safety and your child’s safety is clearly the number one priority. Even in a parking lot or when crossing the road, you should always be alert. Properly educating children on car safety promotes precautionary measures. 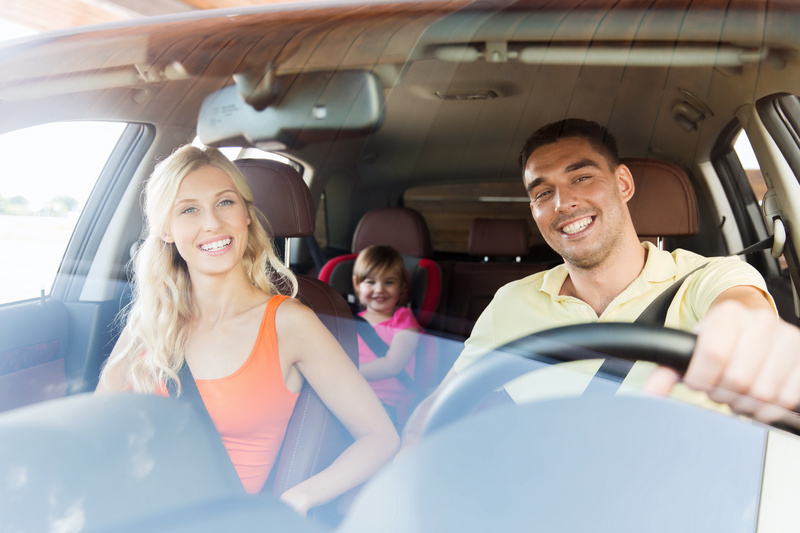 When gearing up for a family vacation this summer, don’t just “strap, secure, go.” Take the safe route with our car safety tips! Did we miss something? Let us know your babyproofing tips in the comments below! The 2018 Honda Odyssey was recognized as the Family Vehicle of the Year award by the Midwest Automotive Media Association (MAMA) during the 2018 Chicago Auto Show. MAMA developed the award to help car-shopping families make a wise decision when they’re ready for a new vehicle. To qualify for the award, vehicles had to have four doors, start at less than $50,000, appear at one of MAMA’s two annual rallies, and be new or significantly updated within a year of the MAMA Spring Rally, which took place last May. 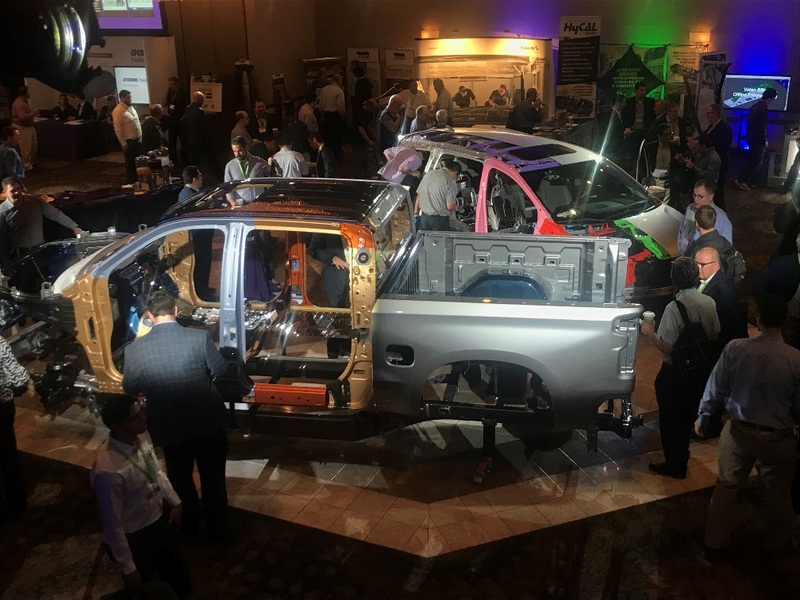 The fifth generation Odyssey is an extension of Honda’s next generation ACETM body structure as applied to the global light truck platform delivering best-in-class performance and driving dynamics. Steel makes up 99 percent of the Odyssey’s overall body structure, including 58 percent high-strength steel and advanced high-strength steel. The application of advanced steels contributes to the 75 pound reduction in vehicle weight while increasing torsional rigidity by 44 percent compared to the previous model. High-strength steel and advanced high-strength steel are used in the Odyssey’s A, B and C pillars, roof rails, front and rear rails, and front subframe, allowing the vehicle’s cabin structure to better manage front, side, roof and rear collisions. Thus, the Odyssey has been award a 5-star safety rating from the U.S. National Highway Traffic Safety Administration (NHTSA) and is an IIHS Top Safety Pick. Congrats to Honda on this honorable recognition! Share your congratulations in the comments below. 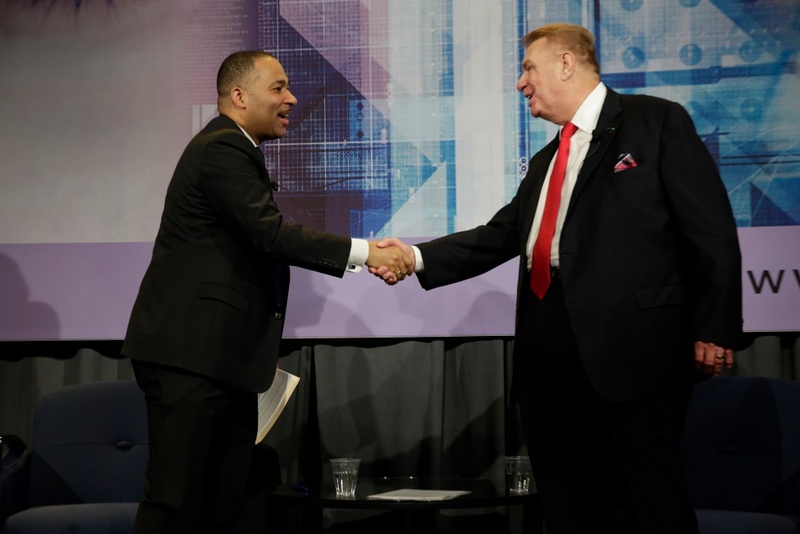 Without the dedicated men and women within the automotive and steel industries, the Steel Market Development Institute (SMDI) would not be able to continue to drive automotive innovation. 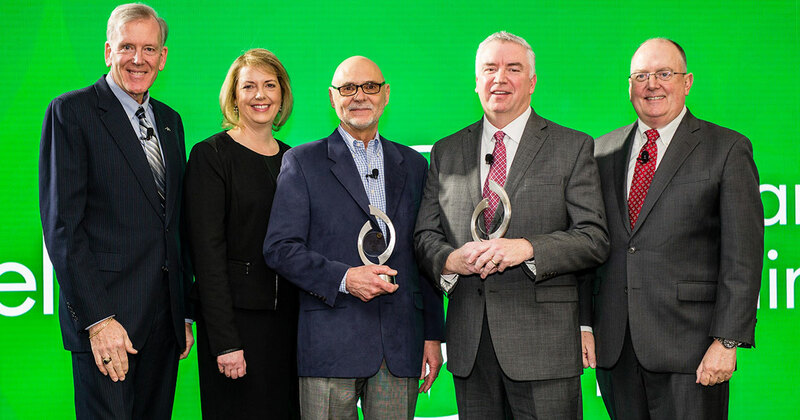 For the fourth year in a row, SMDI recognized two outstanding leaders in the industry who are accelerating innovation with the “Men and Women of Steel” awards at the 2018 North American International Auto Show. The Industry Innovator award honors an automotive designer or engineer who showcases superior capability/innovation in the application of advanced high-strength steel (AHSS). 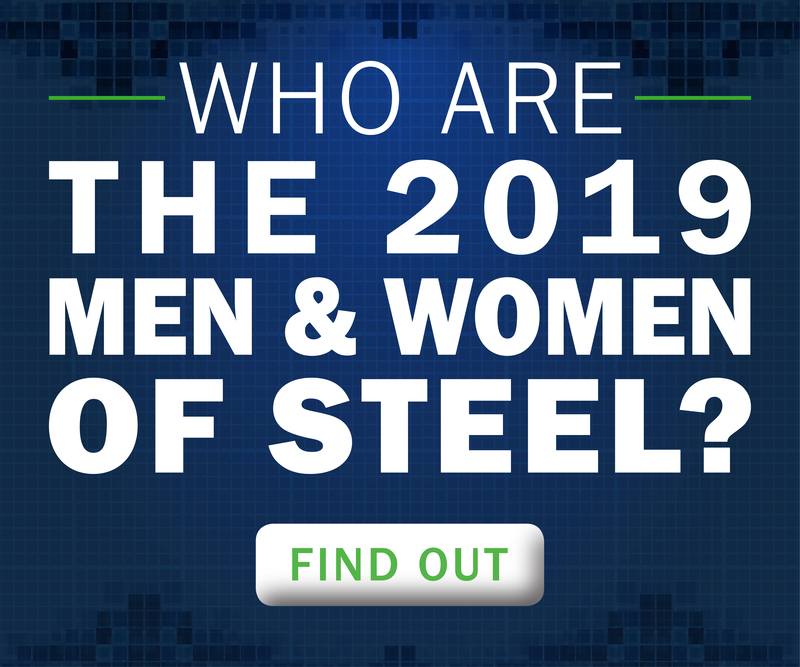 The Community Hero award recognizes local men and women of steel whose lives have been impacted by AHSS or who have used AHSS in a heroic way to help other people. The Industry Innovator Award was presented to Jack Dolan, FCA US LLC, as result of his work with the steel industry on innovative AHSS solutions on future FCA vehicles. Jack’s dedication to innovation in steel helped reach weight reduction goals in various projects and he continues to lead the FCA team in collaborative, state-of-the-art solutions. The Community Hero Award was presented to Dr. Don Malen, University of Michigan, for his recent work as a professor at the University of Michigan where he teaches automotive structure design. He continues to work closely with the steel industry, including projects with WorldAutoSteel and A2Mac1. Join us in the comments below in congratulating Jack and Don for all their hardwork in continuing to accelerate automotive innovation through steel applications. 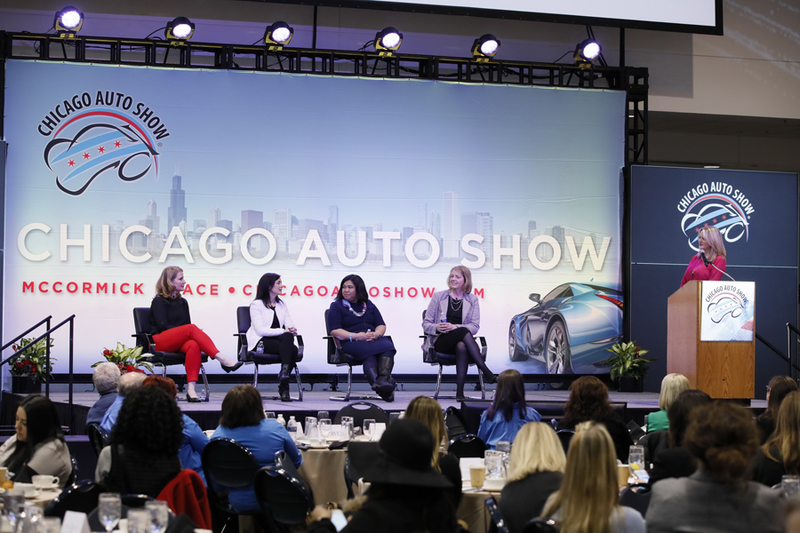 Media Days kicked off with a bang during the 2018 North American International Auto Show. 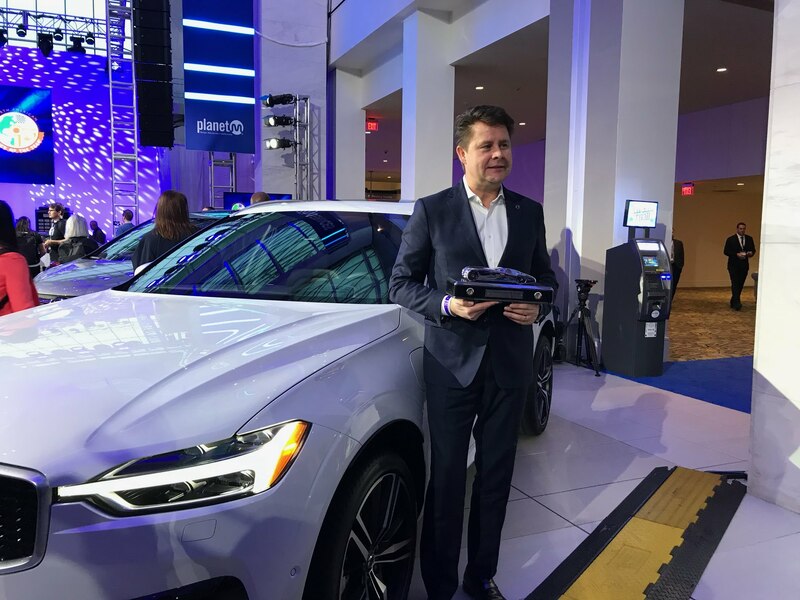 Often referred to as the “Oscars of the Auto Industry,” the announcement of the 2018 North American Car, Utility and Truck of the Year Awards were just that. 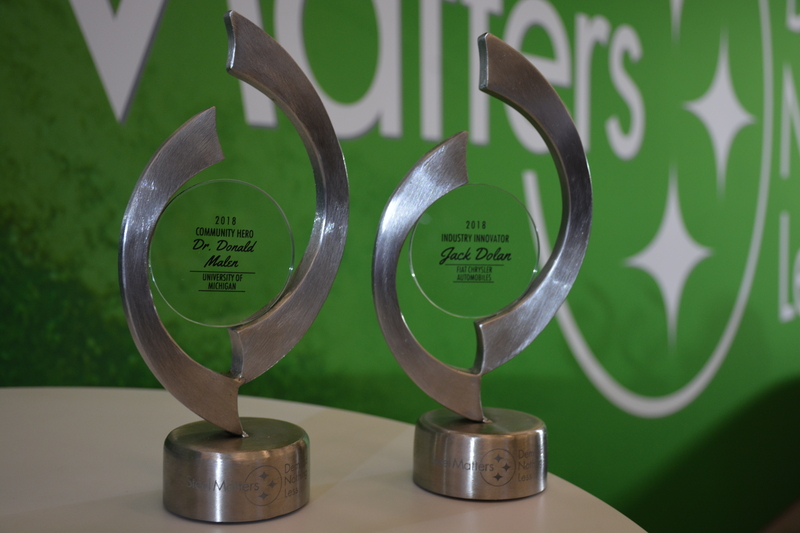 These highly-coveted awards recognize excellence in innovation, design, safety, performance, technology, drive satisfaction and value. These factors fall in line with steel’s characteristics of strength, lightweighting, value and performance. 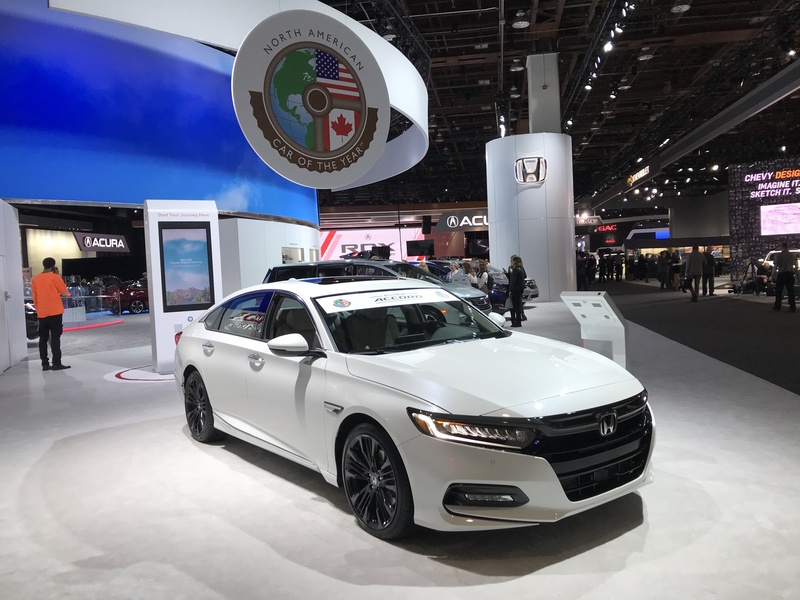 The Honda Accord won the 2018 North American Car of the Year, while the Lincoln Navigator was crowned Truck of the Year and the Volvo XC60 was named top utility vehicle of the year. Honda raised the bar with its 2018 Accord, moving away from its conventional appearance. Known for its reliability, the Accord is composed of 29 percent ultra high-strength steel content and 54.2 percent is high-strength steel (above 440 MPa).This marks the third year in a row for Honda to win an award in one of these categories, with the Honda Civic winning Car of the Year in 2016 and the Honda Ridgeline winning Truck of the Year in 2017. 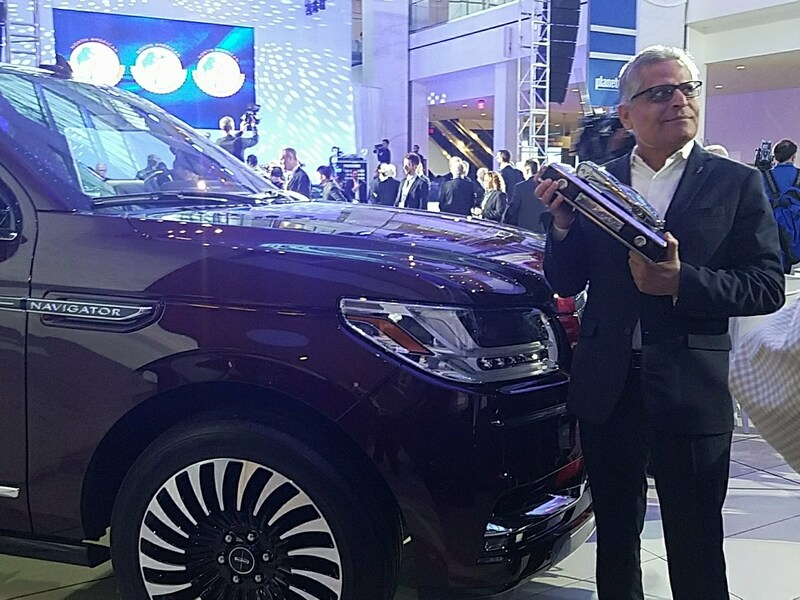 The all-new Navigator, Lincoln’s flagship SUV, combines modern luxury with advanced technology. The SUV was completely redesigned from the ground up last year for the first time in a decade. With its full-boxed, high-strength steel frame, the Navigator moves confidently on the road. This award marks the first time a Lincoln vehicle has captured one of these prestigious awards. The Volvo XC60 prevailed as a result of its design, safety and driver-assistance features. The already well-liked midsize SUV was redesigned, offering Volvo’s distinct brand of luxury with a wider appeal. Well-equipped, the Volvo XC60 continues its legacy of using advanced high-strength steel within the vehicle. Please join us in congratulating this year’s award winners by sharing your thoughts below. It’s almost impossible to visit an automotive news site without seeing an article about autonomous vehicles. Automakers and industry influencers have made it clear autonomy is the direction every OEM and technology company is racing toward. According to the National Highway and Traffic Safety Administration (NHTSA), autonomous vehicles are defined as cars operating in self-driving mode, without direct driver input or monitoring to control the steering, acceleration and breaking. Without physical drivers, these vehicles need another form of communication with their surroundings. Enter sensors – the technology being used by connected vehicles to understand their environment, including other vehicles and infrastructure they must interact with. The average cost of vehicles currently on the roads is up 57 percent from 20 years ago. Unfortunately, these added sensors are expected to raise vehicle costs even higher. All of this added precious cargo needs the same protection as the precious human cargo riding inside (see more about protecting occupants with steel in this blog post). With vehicle prices already high, and sensors making them even more costly, it’s imperative the technology and the passengers get the best protection for the greatest value. The solution? Steel! To counteract the large investment in sensors and batteries, lightweighting with advanced high-strength steel (AHSS) provides the greatest value for the automaker, which in turn cuts costs for the consumer, without cutting strength and a sense of security. Steel has an impressively high value compared to alternative materials making it the easy choice when it comes to the best protection while offsetting the price of additional sensors and batteries for autonomous vehicles. The transition to an autonomous world will not happen overnight and the risk of accidents and crashes will never disappear completely. Mother Nature is unpredictable and even in a fully autonomous world, we can’t forget about animals darting in front of autonomous vehicles that cannot stop in time or a storm sending branches and other debris flying onto these cars. With such a wide variety of AHSS grades, automakers will continue to choose the right grade for the right application to provide excellent occupant protection in any situation Mother Nature throws our way. The average vehicle on the road today is made up of about 50 percent steel. Although it’s not clear just yet what these new autonomous vehicles will look like, it’s likely they’ll remain steel-intensive. Whether these fancy new rides look more like spaceships than vehicles or they stick to the classic designs we have today, the new generations of AHSS are formable without sacrificing strength. New generations of AHSS, including twinning-induced plasticity (TWIP), are extremely strong yet also formable allowing automakers to reduce mass for the difficult-to-form parts of futuristic vehicles. With more than 200 grades of steel available, there is sure to be a grade perfect for every application, now and in the future. Along with the futuristic exterior of autonomous vehicles come new and improved interiors as well. It’s expected since we no longer need to rely on a human driver our vehicles will become more like our family rooms, a place to gather, get work done or take a nap. The seats may all face toward the center of the car, recline into beds or transform in a completely different way like the Mercedes-Benz F015 Autonomous Concept. These changes will affect the way we enter and exit the vehicle, eliminating the center pillar between the doors, resulting in the need for more structural steel for added strength in the surrounding areas. The underpinnings, including the chassis and suspensions systems, of most vehicles are currently comprised of steel to provide an excellent, smooth ride and handling experience. Our existing road system is littered with pot holes, construction zones and other hazards, which will not be eliminated by the time autonomous vehicles hit the road and become main stream. Without a high-strength steel base and structure, these nice, new autonomous vehicles won’t be able to provide a smooth ride on our current roads. The future of driving may not actually be driving. Steel is innovating to become the solution to challenges arising from autonomous driving. 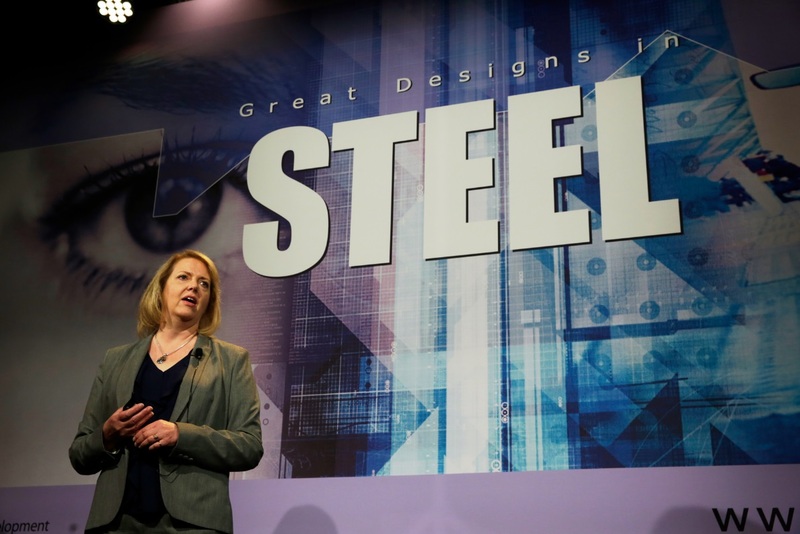 With steel, passengers can rest assured they’re safe from whatever new dangers come about and any design chosen by engineers can become reality. While autonomous driving comes at a cost, steel continues to provide the greatest value while offering the best protection for new technology and, of course, the vehicle occupants. What do you want to see in autonomous vehicles? Let us know in the comments!